I had heard again and again about Northeast Animal Shelter in Salem, Massachusetts, a facility that rescuers all across the South feel is the gold-standard way station for dogs like Blue who are in transit to permanent homes. And it came to exist, I learned in a telephone call, because a woman named Cindi Shapiro happened to read The Wall Street Journal on Thursday, March 6, 1970. The article, by staff reporter William Mathewson, told the story of Alexander Lewyt (pronounced LOO-it). At the time, the resident of Long Island,New York, was sixty-six years old and best known for having invented the Lewyt vacuum cleaner. It was sold door-to-door following World War II with a promise to homemakers that it would not interfere with the reception on their big-box radios or black-and-white televisions. Lewyt thought that was a pretty dumb way to run an operation, so he taught the shelter’s directors about direct-mail campaigns. Working with Publishers Clearing House, which was near the shelter on Long Island, Lewyt produced a letter featuring a photograph of a puppy and a kitten. The letter asked its 28,000 recipients, “Would you give a dollar—just $1—TO SAVE THEIR LIVES?” Lewyt got a celebrity endorser to donate his signature, too. It was singer Perry Como. That was all that Cindi Shapiro needed to read. Shapiro found Lewyt’s number in a thick printed phone book, called him unannounced, and said she wanted to do what he was doing near Manhattan, only up in Massachusetts. He spent the next forty-five minutes berating her from his end of the phone line—the way a father might snap at a daughter who says she wants to turn down a corporate job offer and instead become a painter of abstract expressionist art. Lewyt told Shapiro that rescuing animals was a lifelong commitment, and that the work could be absolutely heartbreaking. He tried to scare off the fresh-faced college graduate by insisting there wasn’t a darn nickel of money to be made. Not long after Shapiro completed Lewyt’s feats of mental strength, he sent her a check for $5,000. She rented the basement of a veterinarian’s office with room for just ten cages. That was in 1976, a full thirty-five years before I stepped foot into the current incarnation of Northeast Animal Shelter in Salem, Massachusetts. As I pulled into the parking lot, I saw not a single hint of the organization’s humble roots. 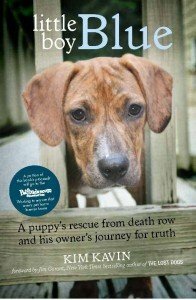 Note from Michele Hollow, editor Pet News and Views: I reviewed Kim’s book earlier this month. I wanted to share this excerpt with you because of its importance. Ever since I heard Mike Arms, president of Helen Woodward Animal Center (HWAC), talk about the importance of running animal centers as a business, something inside clicked. It made perfect sense, as we can see and learn from models like Northeast Animal Shelter and HWAC. HWAC has a wonderful program that focuses on this very topic. Everyone who loves animals should read Little Boy Blue.